We bring forth a wide range of Austentic, Marstentic & Stainless Steel Plates. 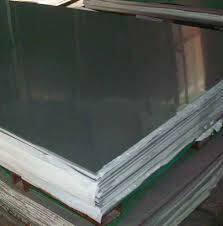 Some of the grades available in our Stainless Steel Plates are ASTM A 240 Tp 202 / 304 / 304L / 316 / 316L / 321 /309 / 310 / 317L / 409 / 410 / 410S / 430 / UNS NO. S31803 / UNS NO. S32205 / SAF 2205. We only offer Stainless Steel Plates manufactured using the best quality stainless steel. Our Stainless Steel Plates are easy to cut, weld and have excellent machinability, which is why they are used in several industrial applications.